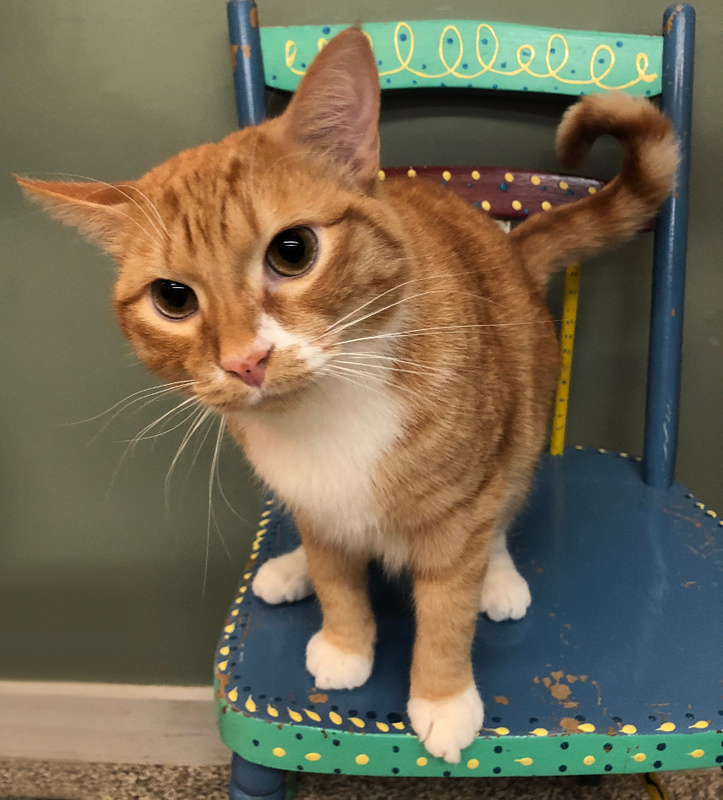 Nugget came to the HSCC as a kitten with an enormous hole in the side of his face that required urgent care. We discovered that he had become a host for a wolf worm, and he needed to undergo two extensive procedures to extract the invasive worm and its debris. Had the extraction not been successful, the result would have been fatal. Cats and kittens that spend ANY time outside are susceptible to many risks like this! 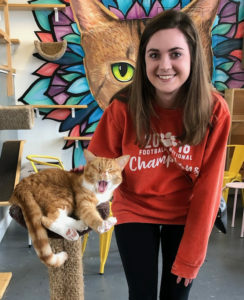 “See ya later, alligator!” Nugget (of gold) was not shy about telling the other Java Cats Meowietta kitties that he was on his way home with his special human. After regaining his health, Nugget developed a playful yet laid-back personality that charmed everyone who met him. 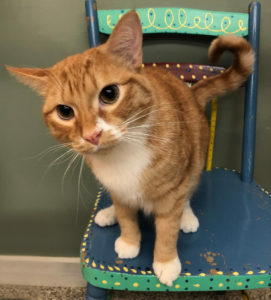 Shortly after transferring from our shelter to the Meowietta cat lounge, he met his special person, and now he has a forever home to call his own. Enjoy your golden life, Nugget!